The academic world is totally dedicated to the diversification of all White-created nations. The research effort, the collection of data, the preparation of surveys, the proposals for lucrative grants, the long string of mediocre articles and books regularly published, are overwhelmingly biased in favour of mass immigration. It is assumed among all academics that White "homogeneous communities" without a program of diversification are inherently "backward looking," "reactionary," "anti-democratic," devoid of "youth" and "energy," and out of touch with the "requirements" of the times. Before 2006 or so, most of the studies on the merits of diversity were not really empirical assessments but theoretical postulations about the value of increasing opportunities for minorities, celebrating multiculturalism, and implementing policies that would improve racial equality. While there were empirical studies on racial inequalities and the effects of such inequalities on community cohesion, there were few studies on immigration-induced diversity. This should not surprise us. Mass immigration only started to gather real momentum in Europe in the early 2000s, and the rising proportion of immigrants in Australia, Canada, and the United States became really noticeable, a subject of much debate in the media, around the same time. 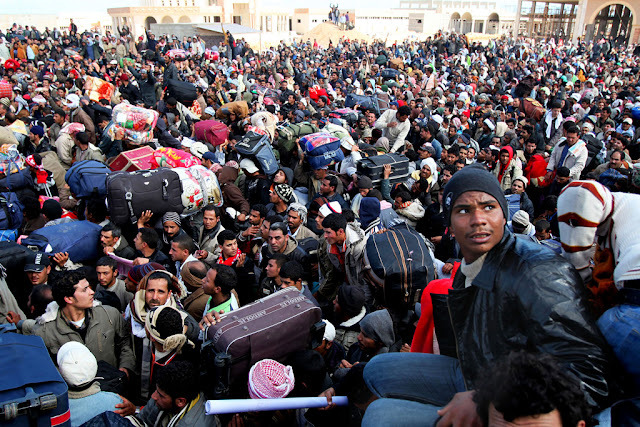 Organized calls for mass immigration from the Third World were coming primarily from business lobbies looking for cheap labour and mass consumers. Academics were happily producing theoretical works on the supposed merits of multiculturalism and willingly supporting mass immigration without much empirical evidence about its supposed benefits or costs. Their support was more a result of their obsession with racial equality, their opposition to Western colonization of Third World peoples, and the increasing identification of whiteness per se with racism. But soon enough, in the early 2000s, studies started coming out assessing the consequences of diversification. From the beginning, however, these studies tended to be guided by the idea that diversity was a positive goal. No academic was questioning the program itself. Such opposition was deemed to be "bigoted" and "ignorant," not for the educated, beyond the orbit of research proposals. Empirical studies were framed in such a way that negative findings about immigration were categorized as "challenges" to be overcome with further "integration" proposals and calls for policy initiatives to increase opportunities for immigrants. Negative reactions by White members of the host nation were not allowed to enter into the "empirical data" but were summarily disqualified as indications that the community was "xenophobic." Only the criticisms of minorities, or conformists on the left, about "lack of affirmative action," or "lack of integration efforts," was counted as evidence, not against the program, but as further confirmation of the need to expand the program. But suddenly, in the year 2006, a study by Harvard professor Robert Putnam was released, based on detailed interviews of nearly 30,000 people across America, showing that the greater the diversity in a community, the less people trusted each other, the less they gave to charity and worked on projects to improve the community, and the less they voted. In those communities supposedly enriched by diversity, neighbors trusted one another about half as much as they did in those communities that remained homogeneously White. Putnam defined this decline in community or public engagement as a decline in "social capital." By "social capital" Putnam meant all those "social networks" through which people do things for each other, engage in collective-public action, such as "in friendship networks, neighborhoods, churches, schools, bridge clubs, civic associations and even bars."" These social networks, according to Putnam don't just promote "warm and cuddly feelings, but encourage a wide variety of specific community benefits that flow from the trust, reciprocity, information, and cooperation" that is intrinsic to these networks. distrust their neighbors, regardless of the color of their skin, to withdraw even from close friends, to expect the worst from their community and its leaders, to volunteer less, give less to charity and work on community projects less often, to register to vote less, to agitate for social reform more but have less faith that they can actually make a difference, and to huddle unhappily in front of the television. Putnam, a typical academic committed to diversity, kept his study hidden for some years. When he went public with the findings, he immediately adopted the attitude every academic adopts when facing inconvenient facts: he called for more education and integration programs to overcome the negative effects of diversity. He actually looked forward to the day when European communities would alter their social identities as "French," "British," "German" for "more encompassing identities," a "new, more capacious sense of 'we'," that is, a sense of "us" that includes millions of non-Europeans. Portes: My scientific data tells me that we must not give in to fear when Muslims and Migrants commit violent acts against Europeans. Rather, we must reinforce our commitment to mass immigration and diversity. Putnam's findings had zero impact on the program of diversification. The acceleration of immigration into Europe, already visible through the early 2000s, actually intensified after his study came out. It was also around this time that the academic world went into high gear collecting lots of data "showing" that diversity was one of the greatest blessings Europeans could ever hoped for. Putnam's work stood as an irritating thorn in an academic world accustomed to the publication of fluffy philosophical justifications for diversity. This resulted, after 2006, in an outpouring of empirically oriented studies anxiously aimed at undermining the credibility of Putnam's findings. There is a 2011 paper by Alejandro Portes (with Erik Vickstrom) which reviews many of these papers, starting with a few studies published before 2006, but focusing mainly on papers published in 2006 and after. Portes says that this "burgeoning literature on ethno-racial diversity" refutes the findings of Putnam on the "alleged" harmful effects of diversity "on public trust and cohesion." Daniel Hiebert, from the University of British Columbia, believes that this paper by Portes "basically tore Putnam's argument apart piece by piece." The one thing I will agree is that Portes's paper stands as an excellent entry point in the evaluation of the merits of this "burgeoning" literature. But I will show, to the contrary, that neither this literature nor Portes own claims refute Putnam's arguments. There is a stronger causal relationship between levels of economic inequality and levels of social capital than there is between levels of diversity and levels of social capital. The quality of social capital in a community is more negatively affected by increasing levels of poverty and inequality than by increasing levels of diversity. "It is not diversity per but unequal diversity that makes a difference" on the levels of social capital. The concept of social capital Putnam employs is akin to the concept of "mechanical solidarity" the classical sociologist Emile Durkheim wrote about in the 1890s. 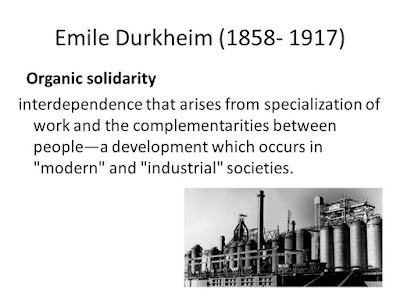 Durkheim drew a distinction between the mechanical solidarity of traditional societies and the "organic solidarity" of modern societies. Putnam longs for Western societies characterized by mechanical solidarity, which is a type of integration "based on cultural homogeneity and mutual acquaintance." But the organic solidarity of modern societies, according to Portes, is inevitably based on "heterogeneity, role differentiation, and a complex division of labor." We cannot expect modern societies to be based on mechanical solidarity; that may be possible in some backward towns, but in our current diverse societies, with their large corporations and impersonal markets, solidarity must be based, not on traditions and kinship, but on abstract norms and rules "that are understood and accepted by all and are enforced by specialized agencies." While Portes is correct that it is very difficult to understand the exact relationship levels of diversity have on levels of social capital independently of the effects other factors exert, such as poverty rates, religious affiliation, racial composition, and inequality, he is wrong that "a veritable mountain of research with mostly contradictory results" has been compiled against Putnam's thesis. This will be demonstrated below. With respect to his second criticism, Portes totally misreads Durkheim's conception of organic solidarity as if Durkheim meant to describe societies that were racially "diverse" and culturally "heterogeneous." Durkheim was actually referring to the modern European nations of his day, which were racially and culturally homogeneous (notwithstanding the fact that some European nations had European, Jewish and religious minorities). These European nations were industrialized societies held together by a high division of labour in which citizens depended on each other. They were not held together by old tribal customs but by liberal values agreed upon by a population that was overwhelmingly White. The notion that Putnam somehow rejected this idea of organic solidarity in the name of traditional communities held together by kinship and illiberal values is ridiculous. It is obvious that the American communities Putnam wrote about with a high social capital were more modern and industrialized than the communities Durkheim called organic. But let's not get ahead of our refutation. I will focus first on demonstrating that there is no mountain of research refuting Putnam, and I will do so by relying on what Portes himself says about the articles that supposedly contradict Putnam's thesis. I will sum up in point form the "contradictory results." I will use the name of authors and year of publication to identify these studies so that interested readers can check the exact references in Portes's article. Alesina and LaFerrara (2002) found that "racial fragmentation...had a significant negative effect on the proportion of trusting respondents even when controlling for inequality, ethnic ancestry fragmentation." Costa & Kahn "found that racial diversity was associated with lower civic engagement among 25-to 54 year olds..."
Stolle et al. (2008) "report a negative association between...proportion of residents who are a 'visible' minority and social trust, but argue that the effect is greater for majority (white) respondents"
Note: It is obvious that Portes uses the word "but" in this last item because he has decided, as I pointed above, that negative effects of diversity on Whites per se do not count as negative if they benefit non-Whites. Rather, negative effects on Whites count as evidence that Whites are not accepting diversity and that they need more education on the merits of diversity and the perils of racism. This is why Portes decided arbitrarily to redefine Durkheim's concept of organic solidarity to mean a society that is modern and diverse: to argue that a White community is ipso facto, in his words, "backward" and "reactionary" and in need of modernization through diversity. Whites who disengage in community activities, resulting in a decline in social capital, are simply reacting against modern organic solidarity, wishing to maintain a racist mechanical solidarity. Uslaner (2010) "reports a negative effect of contextual diversity for whites only." Get it? Whites who like diversity count; Whites who dislike it don't count. They need to get on with it, transcend their inclination for "mechanical solidarity"; never mind that Whites were responsible for modernity and the creation of communities based on organic solidarity, and that it is non-Whites who are more inclined to in-group, race-based solidarity. Fieldhouse & Cutts (2010) "show that the negative effect of diversity on social capital is a small fraction of the negative effect of poverty." It is quite revealing that Portes never asks what effects the importation of low skill workers may have on poverty levels, the effects that the disproportionate use of welfare by immigrants may have on the proportion of welfare going to Whites or nationals, and the effects that the importation of cheap labor may have on wages. "Evidence from the UK shows some support for Putnam's thesis but also illustrates the importance of taking deprivation and social interaction into account." Letki (2008) "found that racial diversity was negatively associated with attitudes toward one's neighbors" but that "racial diversity did not have a detrimental effect on informal sociability." Again, what these studies are saying is that there is support for Putnam's thesis but that what matters is the way immigrants are suffering "deprivation" due to White privilege. When they say that diversity did not have a "detrimental effect on informal sociability" they mean that it did not have a negative effect on organic sociability, the informal contacts individuals have in a complex city with a high division of labour; and since Portes redefines "organic solidarity" in such a way that it involves diversity, what we have here is a tautological statement: increasing diversity did not have a negative effect on diversity. Lawrence (2011) "finds a negative relationship between diversity and localized trust in the UK but shows that this association is reduced considerably by community-level deprivation." It does not matter if there is a negative relationship between diversity and trust, what matters is that British nationals must support immigrant communities with ever more welfare spending and ever higher taxes inflicted on the White middle classes to support immigrant cohesion. Sturgis & Smith ( (2010) "find that..despite negative relationship [between ethnic heterogeneity and trust]...diversity accounts for a minuscule portion of the variability in strategic trust and the effect is strongly moderated by neighborhood deprivation." Fieldhouse & Cutts (2010) report a negative relationship between diversity and...social capital in the UK but find that this effect depends on...poverty and on the racial/ethnic background of the respondent." You get the drift; research keeps showing a negative relationship between diversity and trust/social capital, but the problem is that nationals are not giving enough welfare handouts to immigrants. Moreover, if the respondents are White, that is because they have not yet learned how to live in a diverse society. Conversely, if the respondents are not Whites, that is because Whites are not doing enough to integrate them. Stolle et al. (2008) "report a negative relationship between contextual diversity and trust in Canada, with visible minorities less susceptible to this effect than the white majority." The problem lies with Whites; visible minorities are superior in their ability to live with diversity; we need to replace archaic Whites stuck with images of mechanical associations; immigrants are more sophisticated, they are adapting to diverse organic communities which are the wave of the future. Eight more studies with similar results for various Western countries are commented upon by Portes. The basic message of these studies, as is evident from the ones I cited, is not that Putnam is wrong, or even, as Portes eventually acknowledges, that they lend "only qualitative support to Putnam's hunkering down hypothesis." They actually lend considerable support if we don't exclude the value of White opinions, or twist and bend Putnam's concept of social capital to mean social capital in an organic community that is by definition equated with diversity, rather than an organic community as Durkheim defined it, industrialized and with a high division of labour based on liberal values, but not necessarily diverse. Once Portes identifies organic communities as "diverse" and "heterogeneous," any dissent from diversity is seen as a wish to return to a mechanical form of solidarity, as a wish for more racially homogeneous communities based on blood ties, and therefore as a racist attitude that needs to be transcended through further enforcement of diversity. calls to homogeneity and communitarianism [which] are backward looking and, hence, reactionary. They promote a return to an idealized past...bucolic rural communities...an ideal scarcely compatible with the requirement of a complex world. No, Portes, they are calls for their own communities, their own heritage and identity, for communities based on liberal democratic solidarity, rather than on a "solidarity" imposed by cosmopolitan elites from above through deception. They are calls for the solidarity Durkheim appreciated in the Europe of his day against the radical alteration of this liberal framework based on the fabricated value that "diversity is our strength" when it is the source of the cohesion breakdown. a simple excursion into the sociological classics suffices to remind us that the glue that keeps modern society together is not the mechanical solidarity [of small communities] but a higher form of cohesion associated with a complex division of labor and the strength of institutions. This is very misleading. A simple excursion into my copy of Durkheim's The Division of Labor in Society, and other books with his selected writings and about his ideas, shows me that Durkheim did identify the European societies of his time with a higher form of cohesion based on a complex division of labor without ever using the words diversity and immigration. Portes, perhaps realizing that he is distorting a classical sociologist, decides in his conclusion to bring up the standard (and very deceptive) claim that immigration "is actually a good thing" because the "ethnically homogeneous and aging population" [of Europe] need massive injections immigrant "youth and energy" if they are to survive economically in the long term. 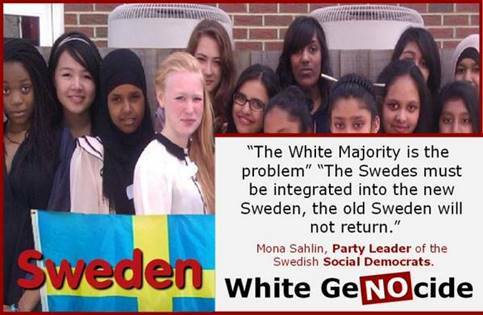 But what we have seen in Sweden, Germany, Italy, Britain, France, Ireland are injections of unskilled immigrants costing billions of dollars in welfare expenses, continuous terrorist acts by Muslims, and persistent incidents of sexual assaults and gang rapes against White women. Portes does not even bring these issues but assumes that it is the fault of the host White population for not integrating immigrants properly. In any case, we know that Japan and South Korea, and every other non-Western nation facing an aging population, are finding better solutions, such as automation, late retirement, and policies encouraging families to have more children. Portes, and all the sources he cited, did not refute Putnam thesis. These studies were either relatively consistent with Putnam's observations or they were implicit efforts to blame Whites for not committing more resources to foreigners rather than to their own nationals. Even though I am not an expert in empirical gathering of data about the merits or flaws of diversity, I have decisively refuted Portes's argument, exposed his incredibly bad reading of Durkheim, his misrepresentation of recent research findings, and his unexplained assumption that the only way to solve the problem of an aging German or Irish or Italian or Swedish population is to promote their replacement by Africans, Muslims, and Asians. This is a policy of ethnocide pretending to be "scientific."